I finally feel well rested enough to start my week, though I’m not sure if I have enough added energy for all the catching up I need to do. 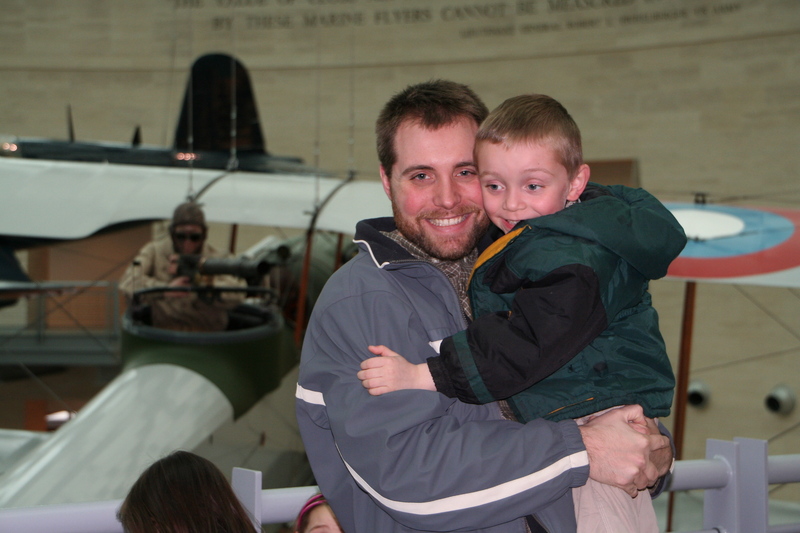 But, how about a little recap of some of family fun? 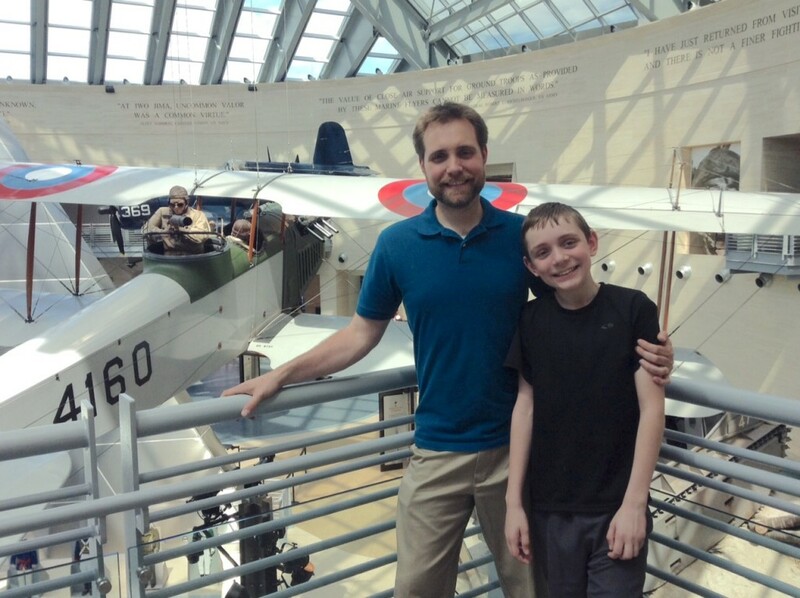 We spent the past weekend in Virginia with my husband’s oldest brother’s family. The weather was gorgeous, and my kids had a great time with their cousins. The only bad part was the inevitable gridlock we hit on 95 South on Friday. We never hit open highway from Northern Maryland down. With all the stop and go, most of the kids got motion sickness, except for Fulton who just pretended to be sick, then spit repeatedly into a plastic grocery bag because it was hilarious. 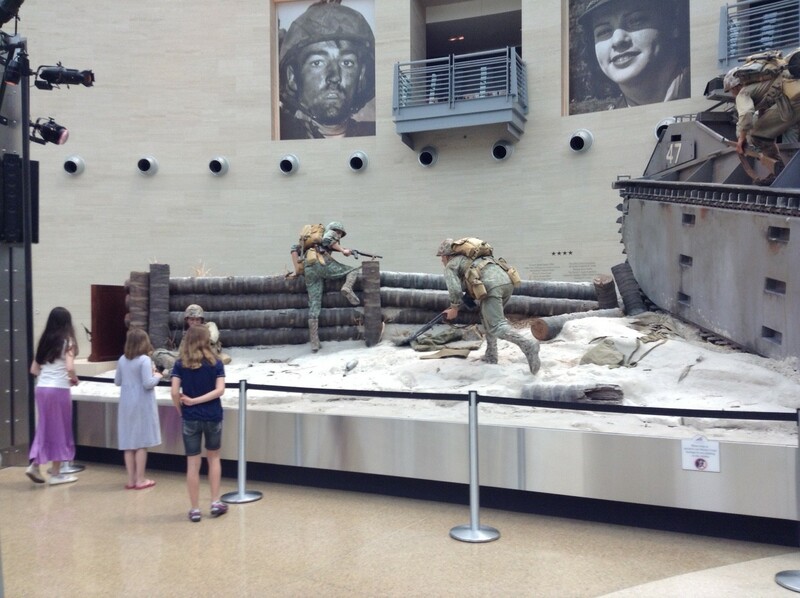 Sunday afternoon we went to the Marine Corp museum in Quantico and if you’re ever in the area I highly recommend going. First it’s free, second, it’s awesomely accessible and third, the exhibits are top notch. It was our second trip in six years, so it felt pretty brand new to the kids. The older ones ran on ahead, absorbing as little of history as possible, while Tony and I navigated Teddy and Fulton through the galleries, stopping mostly to point out guns, vehicles and really big vehicles with mounted guns. Fulton was in his manual chair but Teddy took full advantage of the wide open spaces to drive around at top speed and equally entertain and terrify passersby. Once he actually woke up that is. It was nice enjoying an event without worrying about Teddy driving off into the Potomac river or Fulton crashing into and damaging a historic structure. A coupe times I instinctively thought, “Oh wait, I can’t see the kids..where did they all run off to? I hope they’re not bothering the re-enactors!! !” Only to remember, they were at home with their eyeballs glued to one of the Lord of the Rings movie. 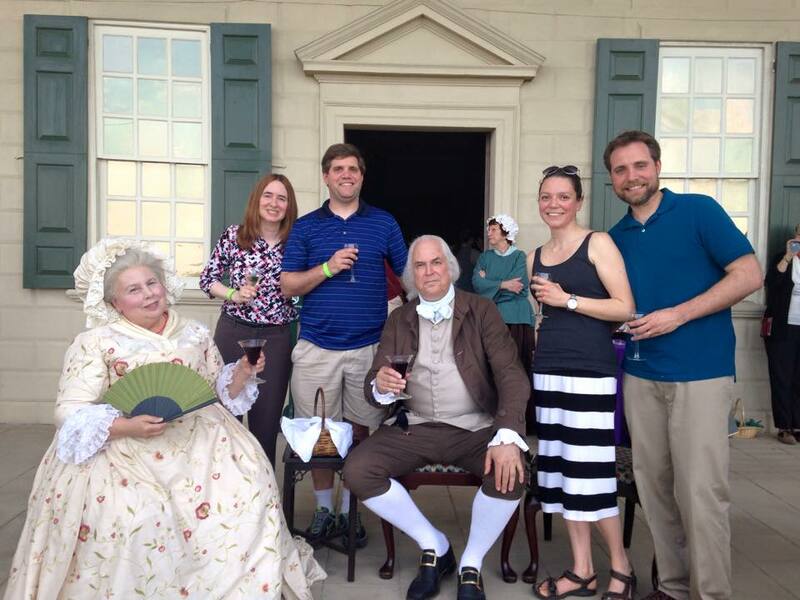 President Washington and his wife Martha even made an appearance, but George made a point of saying they did not have overnight accommodations for everyone. We tried to argue for some floor space in the dining room to no avail. I think it was because of Tony’s beard. The president bluntly stated only sailors and pioneers have beards and he offered to bring someone to give Tony a cold water and razor shave. Tony politely declined. Of course no one gets home and to bed at an early hour from a wine festival. So our Monday morning 9 a.m. departure was especially painful, and not just because of long goodbyes. Thankfully traffic was on our side with only one accident holding us up; mostly because the driver in front of us slowed down (almost hit a couple traffic cones) and took pictures. I was glad to be home…..for three hours before I drove up north to catch a train to NYC to see my sister’s last performance in the city. Her show was great, and a good crowd came out. Once again, the occasion called for staying out way too late, and then forcing myself to get up around 6 a.m. to try to catch a train home at a reasonable hour. Thankfully, I got home Tuesday just in time to start school with the kids. Phew! What a relief I didn’t’ miss that!! The remainder of the week looks blissfully empty of extra activities until Saturday. I’ll either get the pool cleaned out for the start of the summer season or lay around on the couch checking Facebook to celebrate. 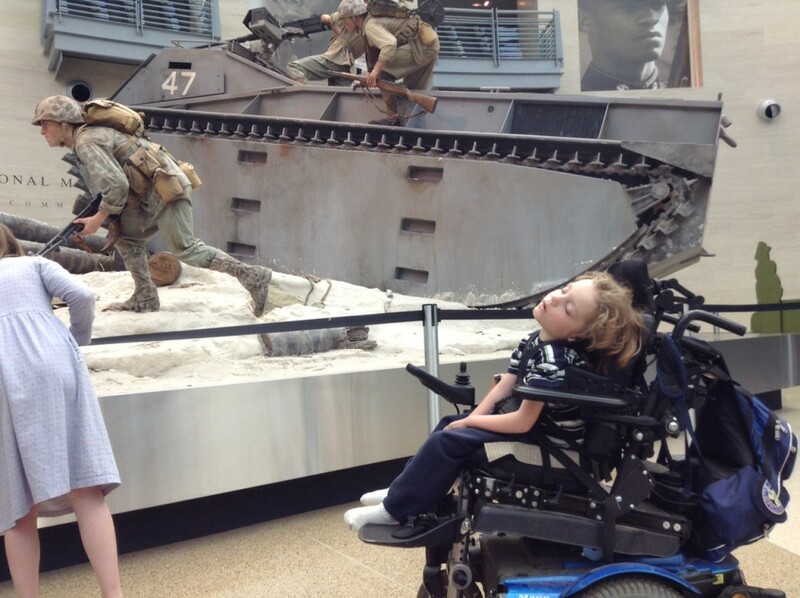 Marine Corps Museum is one of the best museums ever. We took our kids when they were 12, 10, 8 and 6. They loved the interactive activities (is that redundant?) 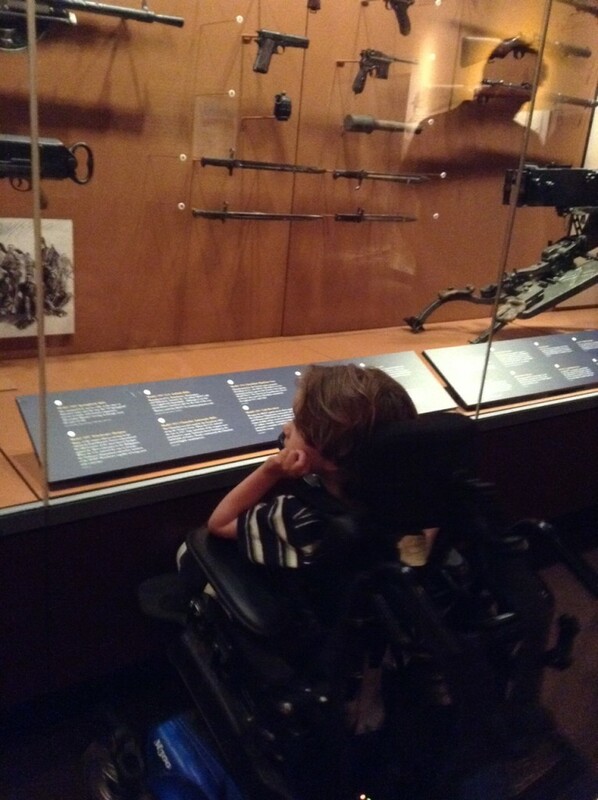 And my son loved the history and yes, weapons. I would love to go again.